With roots dating back 35 years, we deliver office technology solutions to more than 40,000 businesses. Some of them couldn’t keep up with new technologies. Many were needlessly throwing money into inefficient processes. They all entrusted us as their go-to provider for automated technology services. You can too. Because we offer all the services you need, from planning to implementation to optimization. We’ll personalize your solution. And we’re proactive to see potential problems before they happen. All so you can crank up efficiency like a well-oiled machine. Today, our experts and innovators thrive on helping companies solve their most pressing concerns. From the initial handshake, we present our worry-free technology roadmap to being there whenever you need us with ongoing support, we’re in optimization mode every step of the way. Whatever your size, we will customize a solution to your business across managed services, cloud services, copier and printers, document management, software, hardware repair, and secure cloud-based IT expertise. It’s 1 solution for all your needs from one trusted company—Office1. 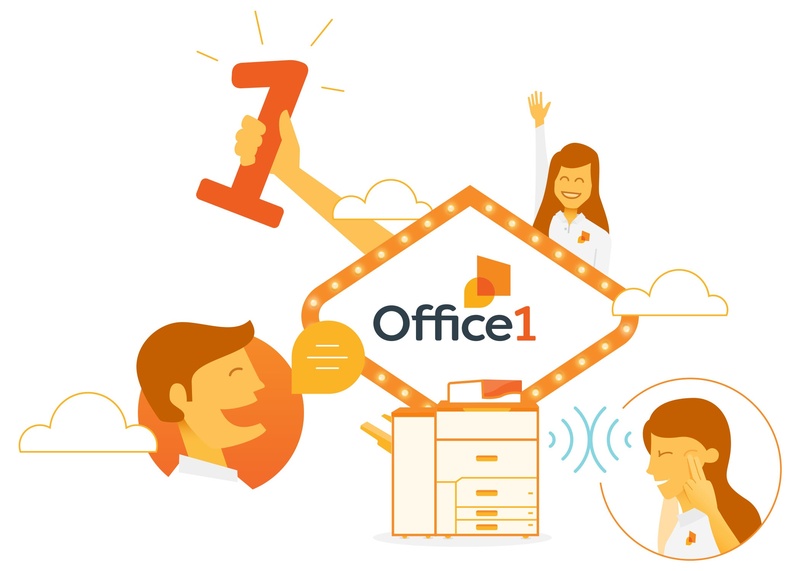 Have a look around to see how Office1 is making the business world work smarter 1 Office at a time.